Just in time for the tenth commemoration of the carnage at the World Trade Center, the Pentagon, and the field in Shanksville, Pennsylvania comes a detailed report from The Miami Herald about a wealthy Saudi family deserting its lush abode in Saratoga, Florida just two weeks before the mass killings. Hey, maybe it’s just a coincidence. Alas, cars used by Mohammed Atta and other culprits were at the house frequently, phone calls were made between the killers and the family, and the family left in a rush and never returned for their automobiles. 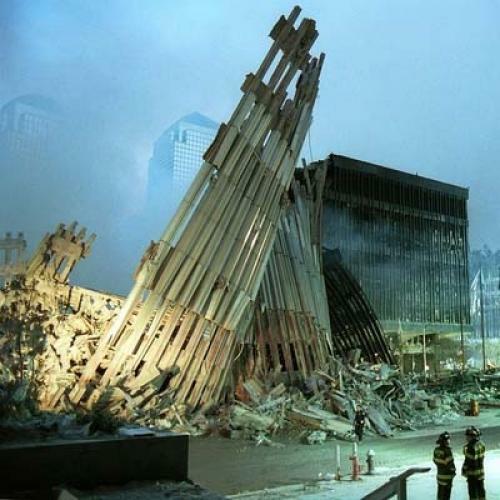 Now, the FBI knew of these facts shortly after 9/11. It never made them public. In fact, it never reported these circumstances to the commission that carried out what we thought was an exhaustive inquiry into the whole Islamist terror apparatus. Indeed, it’s not even clear how and why this hitherto sequestered information has now been revealed. One of the suspicions that this news will provoke again is whether Saudi participation in the hideous enterprise of terrorism was greater and more central than has previously been shown. It has certainly been known for a long time that many of the peninsula’s mega-rich have been financing Al Qaeda and other factions of Islamist “Murder Inc.” It’s been known. But it has not truly been exposed. Just two weeks before the 9/11 hijackers slammed into the Pentagon and World Trade Center, members of a Saudi family abruptly vacated their luxury home near Sarasota, leaving a brand new car in the driveway, a refrigerator full of food, fruit on the counter—and an open safe in a master bedroom. In the weeks to follow, law enforcement agents not only discovered the home was visited by vehicles used by the hijackers, but phone calls were linked between the home and those who carried out the death flights—including leader Mohamed Atta—in discoveries never before revealed to the public. Ten years after the deadliest attack of terrorism on U.S. soil, new information has emerged that shows the FBI found troubling ties between the hijackers and residents in the upscale community in southwest Florida, but the investigation wasn’t reported to Congress or mentioned in the 9/11 Commission Report. Read the whole thing here. Will the press bury this? And what about the administration?